Filled with silicone hollow fiber chosen for its exceptional inflating and comforting properties, this mattress topper gives your mattress an unparalleled flexibility and welcome. The Cocooning mattress topper filled with silicone hollow fiber combined with a cotton twill envelope will give your mattress a cocooning and fluffy comfort. It offers an enveloping sensation, for a night full of sweetness. Composition This synthetic mattress topper is filled with 100% silicone hollow fiber. 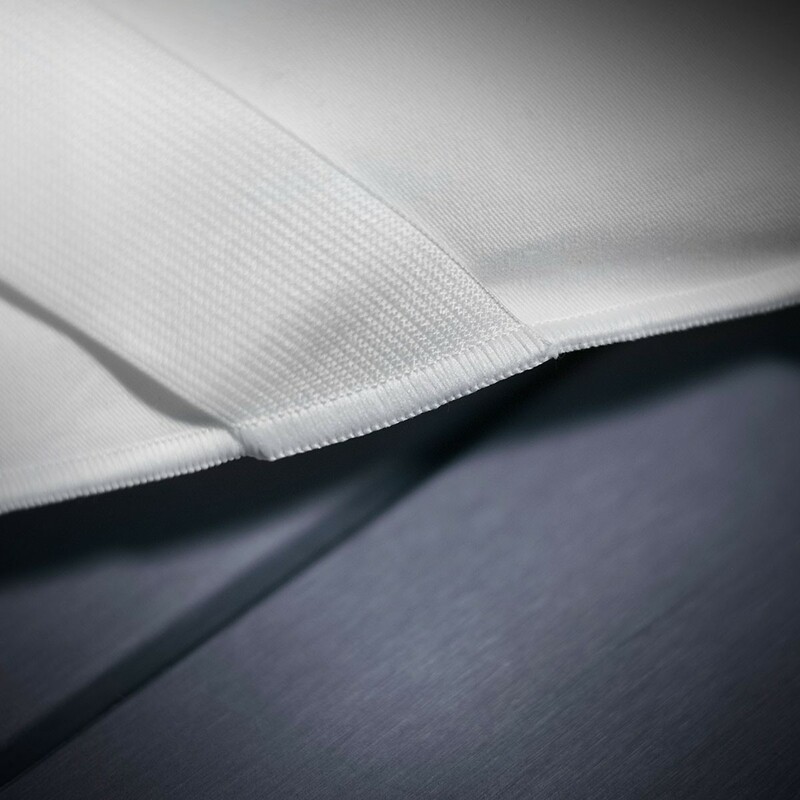 The envelope is pure cotton twill anti-duvet. Attached to the mattress with elastics, this synthetic mattress topper has a thickness of about 2 cm with a filling weight of 500grs / m² to give the material the opportunity to express all its swelling. This mattress topper is crafted with edge-to-edge stitching and a satin stitch finish to ensure the best resistance. Packaging The featherbed comes in a Dumas canvas bag that you can reuse for storage in the summer. This bag can accompany you on holidays and for leisure activities. Tailor-made and embroidery Offered in standard French sizes, the synthetic Confort mattress topper can be made to measure and customized to your initials with embroidery. The manufacturing time for special sizes is 10 days. Any customized or customized product is not returned or exchanged. Cleaning proccess It is recommended to wash your mattress topper once a year minimum by focusing on the summer period. It can be machine washed at 40 ° C with a maximum spin and then dried in a tumble dryer. 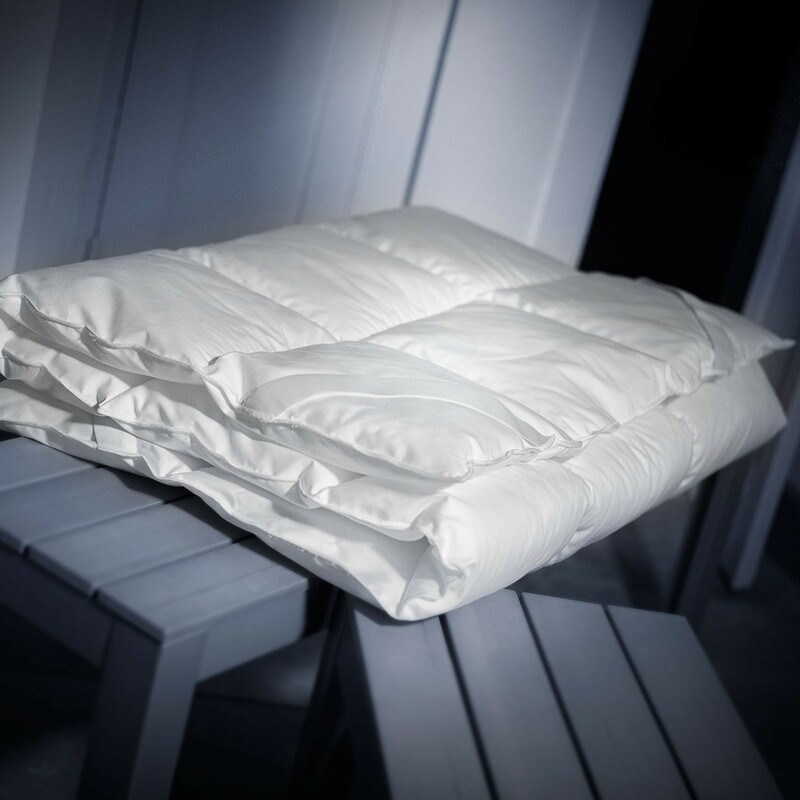 The Cocooning mattress topper is a Haute Literie® product. A true cocoon of suppleness, the comfort synthetic mattress topper meets the requirements of the Haute Literie® Dumas Paris. Dumas Paris has been manufacturing luxury goods since 1910, in its Tonnerre workshops in Burgundy, where innovation meets traditional know-how.